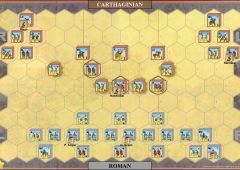 Hasdrubal's departure to join Hannibal in Italy left only two Car-taginian armies in Spain under mediocre commanders (Hasdrubal yes another one, and Mago). 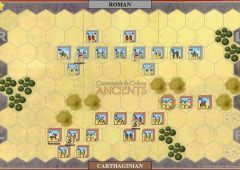 Scipio made steady progress against them, securing territory and prompting many Spanish tribes to come ver to the Roman side. 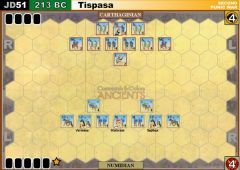 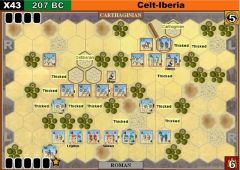 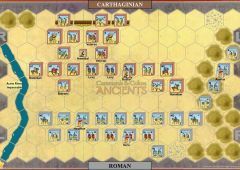 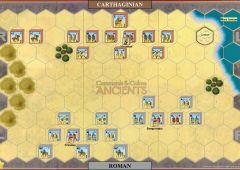 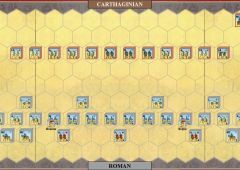 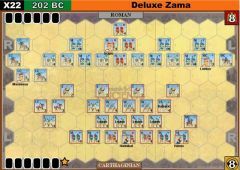 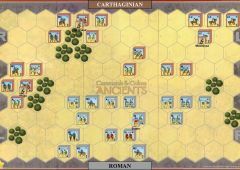 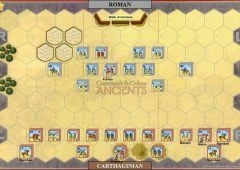 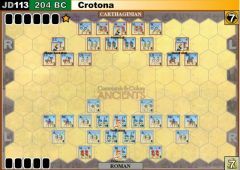 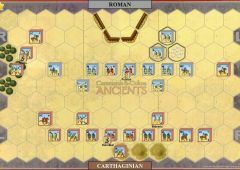 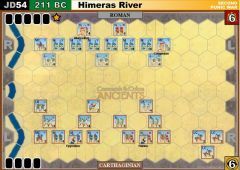 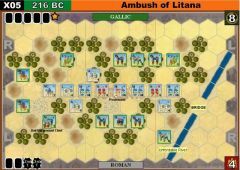 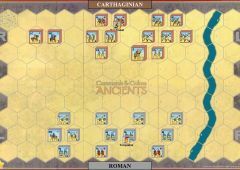 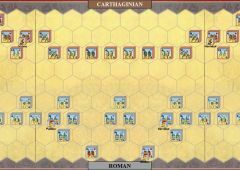 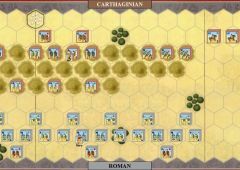 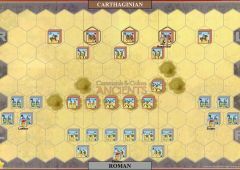 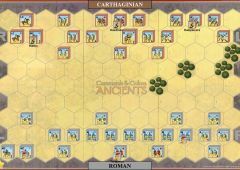 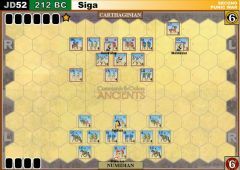 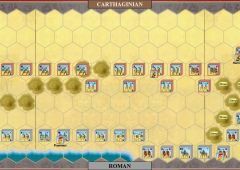 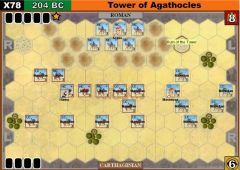 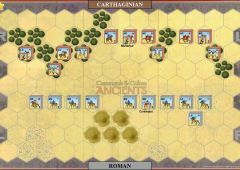 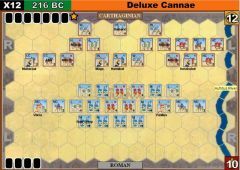 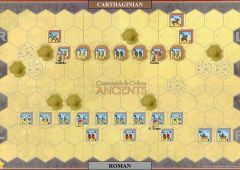 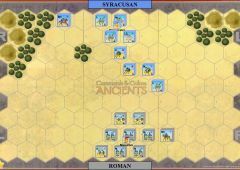 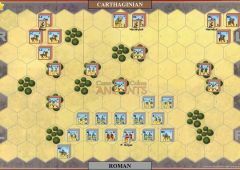 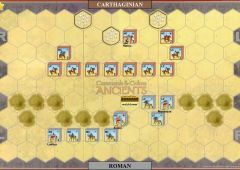 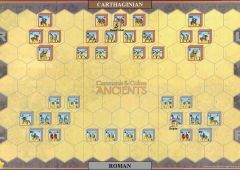 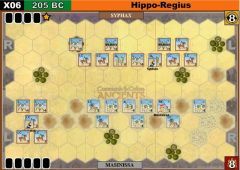 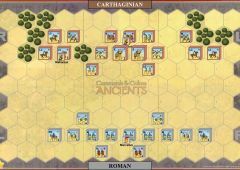 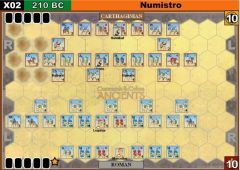 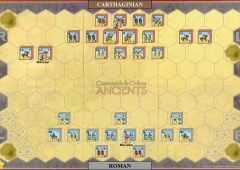 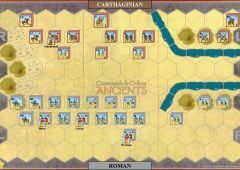 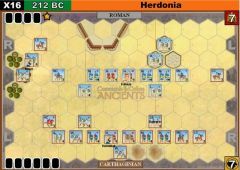 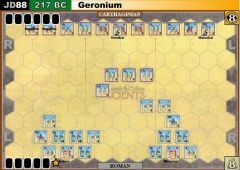 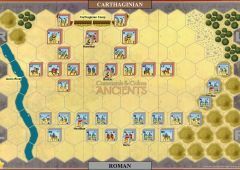 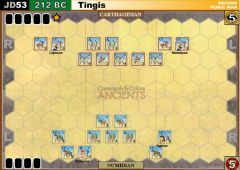 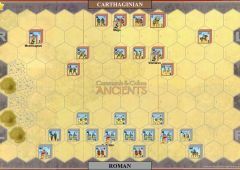 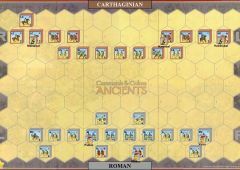 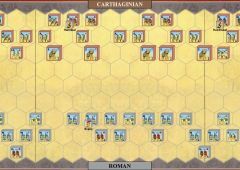 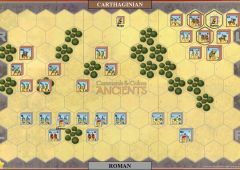 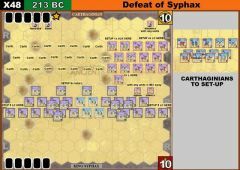 Forced to give battle or give up Spain, their most valuable province, the Carthaginian armies united and took up position on the plains outside of Ilipa. 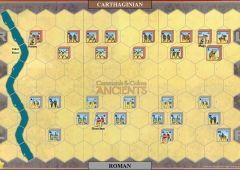 For three days both armies deployed with their heavy infantry in the center and light troops on each wing. 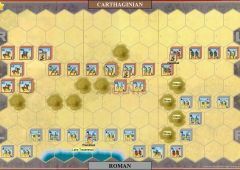 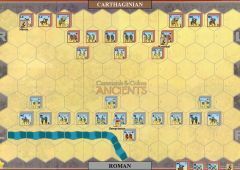 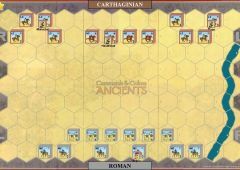 Scipio assumed that the Carthaginians would continue to deploy in this manner and he was correct. 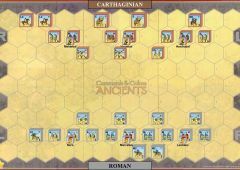 On the fourth day, Hasdrubal again deployed his army with the heavies in the center. 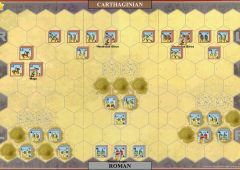 Scipo this day sent light troops and cavalry to attack the Carthaginian camp and only after the Roman light screen retired did Hasdrubal see the Romans deployed with legionary infantry in both wings and Spanish troops plus lights in the center, The Roman cavalry and legions advanced and began to destroy both Carthaginian light wings. 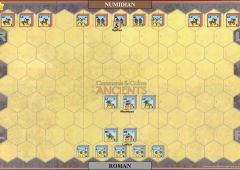 Hasdrubal was unable to send his heavies to support the wings for fear he would open a hole in the center that the Romans would pour through. 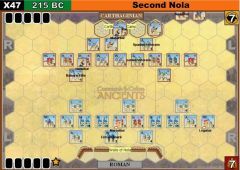 Both Carthaginian wings disintegrated and it looked grim for the heavies in the center until a providential thunderstorm allowed some of them to escape. 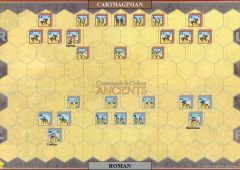 The combined Carthaginian army was destroyed as a fighting force, and Spain now belonged to Rome. 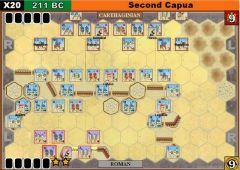 Scipo later crossed into Africa where his victories at The Great Plains and Zama would earn him the title "Africanus". 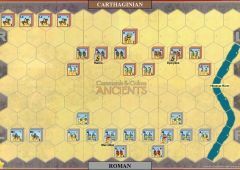 I have to say that I was a bit shy about the EPIC approach. 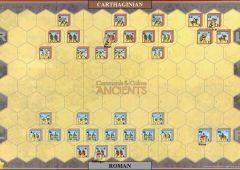 I really like the normal games, and though that EPIC might be trying to push the concept a bit to hard. 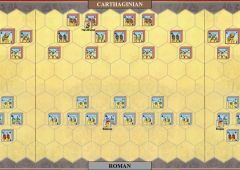 When I got the Roman Civil War Expansion it included this scenario, so my son and I gave it a try. 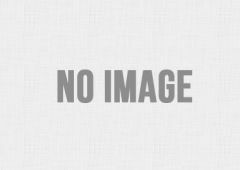 EPIC is great. 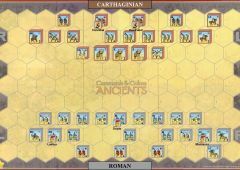 We punched and counter punched our way though the afternoon, taking far longer than we would normally take to play a game, but without realising it because the action was so intense. 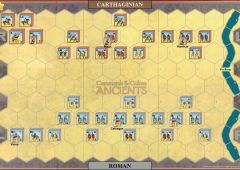 In the end the Romans got the acendancy, but not after some hard slogging, and soon after the Carthaginians collapsed. 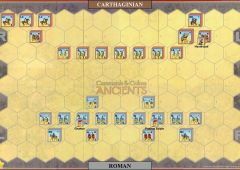 It my view it played closer to my understanding of ancient battles than the standard game. 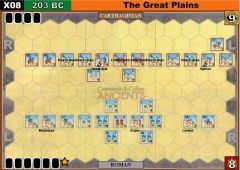 I don't think we will play it all of the time (it takes a lot of room to play) but I am looking forward to more EPIC games, including multiplayer games.